James Henry Clark was born on 23 March 1944, in Plainview, Texas USA, and is an entrepreneur and computer scientist, best known for founding Silicon Graphics, Inc., Netscape Communications Corporation and Healtheon technology companies. A noted entrepreneur, how loaded is Jim Clark? Sources state that Clark has acquired a net worth of over $2 billion, as of early 2017. His assets include the 300-foot sailing yacht Athena and the 100-foot racing sailboat Comanche. The main source of his fortune has been his involvement in his technology companies, and in several other business ventures and investments. Clark grew up in Plainview with his two siblings; his childhood was a quite rough period due to his family struggling with poverty. To make matters worse, his parents divorced when he was 14, and he was raised by his mother. After making trouble in high school that led to suspension, he left school and joined the Navy, eventually getting a high schoolGED, which enabled him to enroll at the University of New Orleans, obtaining his BA and MA degrees in Physics. He later earned a PhD in Computer Science from the University of Utah. After completing his education, Clark worked at Computer Graphics Lab located at the New York Institute of Technology. He was then hired as an assistant professor at the University of California, Santa Cruz, and later served as an electrical engineering associate professor at Stanford University, where he developed the Geometry Engine program, which generated three-dimensional computer graphics. These were a good basis to his net worth. Clark left academia in 1981, and the following year he and six graduate students of Stanford University founded Silicon Graphics, Inc., a technology company focused on 3D imaging and developing computer hardware and software. The company grew rapidly, and in just four years it had revenues of $40 million, becoming the most successful company in Silicon Valley, and eventually the world leader in the production of Hollywood movie visual effects and 3-D imaging. The blossoming success of the company significantly contributed to Clark’s wealth. However, due to conflicts within management, he left the company in 1994 and sold his stock. Shortly after, he and Marc Andreessen, who developed the Mosaic Web browser, founded Netscape, a company devoted to Web software called Netscape Navigator, which quickly began dominating the browser market. In 1996 the company made a very successful IPO, initiating an internet stock-market boom on Wall Street. Clark went on to make a $5 million investment, from which he eventually cashed out $2 billion when Netscape was sold to America Online in 1999, boosting his net worth quite considerably. Meanwhile in 1996, Clark founded Healtheon, a start-up company focused on streamlining communication and paperwork in the health care system. And just like his previous two successful ventures, Healtheon attracted numerous investors during the internet boom years, achieving a market capitalization of more than $1 billion, which intensified Clark’s fortune. The company became the biggest IPO of the year in 1999, merging with WebMD, another successful online health forum, and forming the WebMD Corporation, later renamed to WebMD. Therefore, Clark became the first entrepreneur to create three different multibillion-dollar technology companies, which sealed his reputation as a genius, and bringing him impressive wealth. This wealth enabled him to become involved in other business ventures, constantly multiplying his net worth. These included a biotechnology company called DNA Sciences and a wealth management unit created for wealthy individuals called myCFO, which was eventually sold for $30 million. He also served as chairman and financial backer of network-security startup Neoteris, and has invested in several other companies too, such as Apple. 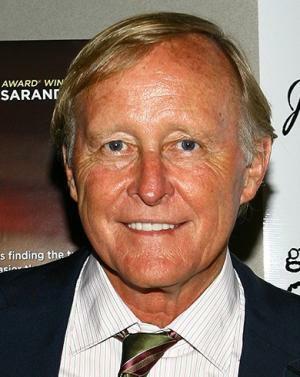 In addition, Clark served as a co-producer and financial backer of the 2009 documentary “The Cove”. He has also published an autobiography called “Netscape Time: The Making of the Billion-Dollar Start-Up That Took on Microsoft”, covering the company’s race to beat Microsoft for Internet dominance. In his private life, Clark has married four times and has three children. His wife since 2009 is Australian model Kristy Hinze. Place Of Birth Plainview, Texas, U.S.